Mitochondria, the Krebs Cycle, the Electron Pump and several more essential intracellular energy systems were known since the mid 20th century. It was space exploration and NASA research that revealed the beneficial effects electromagnetic frequencies had on cells. NASA research went on to discover the best magnetic wave shapes to benefit tissues and stimulate stem cells (the cells that replenish and heal tissues). All this research is incorporated into the equipment we use today. Unfortunately, at the end of the space race, U.S. federal regulatory agencies only approved the use of PEMF for horses while it became part of human medicine in Eastern Bloc countries. 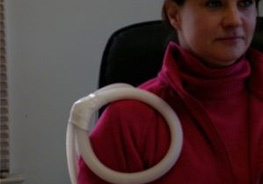 The ability of pulsed electromagnetic field therapy to safely enter tissues and facilitate healing spoke for itself and it is now approved in the U.S. for humans.